Police Officer William Chandler Bean Jr. 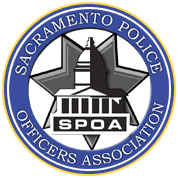 It had been a quarter of a century since a Sacramento Police Officer had been gunned down. 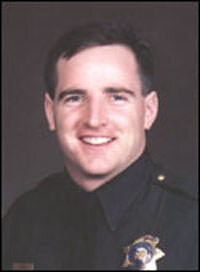 On February 9, 1999, that streak ended with the death of 29-year-old Officer Bean. That evening, Officer Bean and his partner were on patrol when they initiated a traffic stop at Rio Linda Boulevard and Grand Avenue. The officers made contact with the subject in the vehicle. When the officers asked the subject for his identification, the subject fled. Officer Bean and his partner pursued the suspect until the suspect’s vehicle became disabled in the area of Knightlinger Street and South Avenue. The suspect fled on foot from his vehicle. Officer Bean quickly exited the vehicle to pursue him. the fleeing suspect immediately opened fire, striking Officer Bean. Officer Bean was rushed to the hospital where he later died of his wounds. After an extensive manhunt that evening, the suspect was found and arrested. In October 2003, the suspect was convicted of second-degree murder and sentenced to life in prison. Officer Bean was a deputy with the Placer County Sheriff’s Department before joining the Sacramento Police Department in 1995.